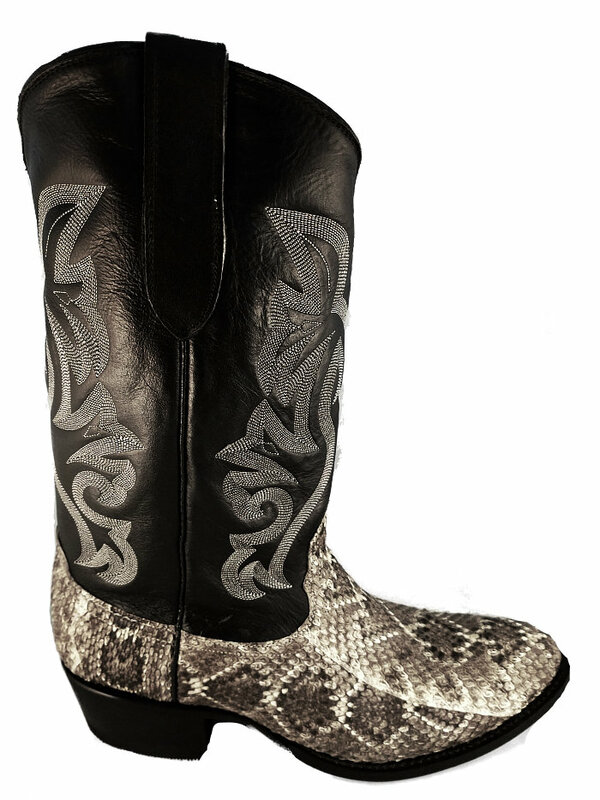 Our Genuine Diamondback Rattlesnake boots are top of the line exotic boot. 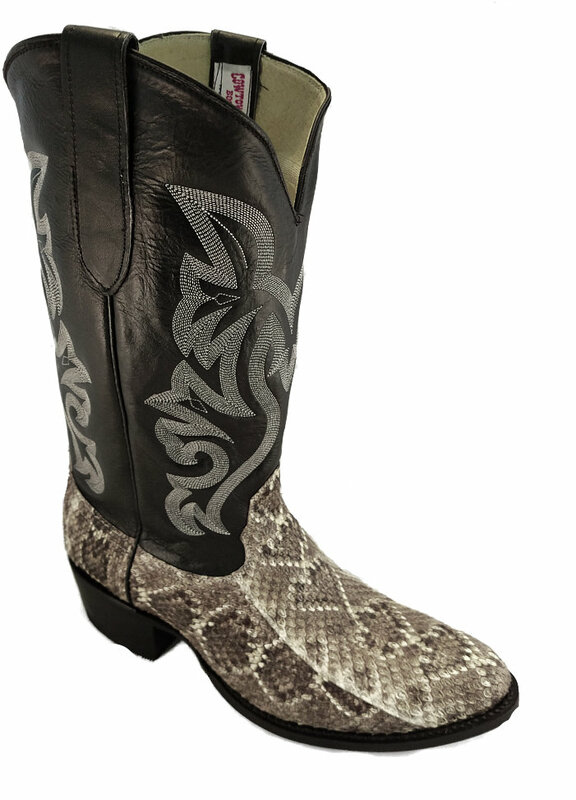 This boot is the best selling boot we have in out snake line and very comfortable to wear. This Rattlesnake Boot is known for how it forms to your foot like a glove when worn. This boot can be worn with pride to any type of function. Leather lined with leather soles and a 1 3/4 walking heel. This Exotic Boot is the "genuine" at an affordable Internet price. Order yours today while the supply lasts at this price! NOTE! Rattlesnakes are all a little different so the boots you get could vary a little in color tone. This boot can be ordered in size "B" as a "Special Order" please allow 6-weeks for delivery.